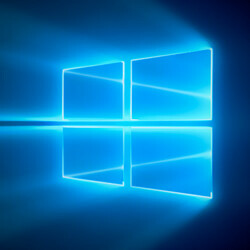 Windows 10 is now running on 400 million active devices worldwide, Microsoft announced, which is a significant milestone for the OS, considering troubled adoption rates on mobile. “Active devices”, in this case, are defined as devices that have been active in the last 28 days. The number of installs has grown quite a bit since May, when Microsoft hit the 300 million mark, but it should be noted that the figure encompasses Windows 10 use on all eligible platforms, spanning across desktop computers, tablets, phones, Surface Hubs, Xbox One consoles, and even HoloLens headsets (of which there are not that many out there). Microsoft's original goal was to have Windows 10 running on one billion devices by 2018, which has since proven unrealistic, and the company had to backtrack on its statement. Microsoft is still anticipating to hit the coveted one billion milestone, but is not committing itself to reaching this goal in a specific time frame. Among other announcements, the company also hinted that members of the Windows Insider test program will soon be able to get their hands on early Windows “Redstone 2” builds, as well as the updated Edge browser. Microsoft's proprietary browser will soon receive a much-welcomed security feature in the form Container-based isolation. This feature will allow potentially malicious code to be isolated in “containers”, as to not affect an entire network. Windows 10 and NOT Windows 10 Mobile, eh? I thought... Well, you know... Anyhow, Lets see how Surface & HP Elite X3 goes... These two phones will seal the fate of Windows 10 "Mobile"... If the succeed, W10M... If they fall, W10M will fall... "Together we stand, divided we fall..." G'Day! For the most part Windows 10 Mobile will rely entirely on enterprise use the next 12 months at least. Barely anyone would want to buy a phone like HP Elite X3 and use as a daily driver. I'm a windows user because this is what they provide to me at work. I don't like it but for Microsoft I am part of their users. I guess there will be millions like me around. Why don't people want to upgrade, I genuinely don't get it? It's a faster and more secure? New and more features. Why not do it? Why don't people want to upgrade to 10? Simple! Being spied upon by Microsoft is what makes some of the users stay on their current OS. The incapable of running some old apps means the reliability is reduced. And the uncontrollable updates for those home users means that the PC that runs on Windows 10 will automatically restart your device. You'll need to dish out some money to get the premium Windows 10 in order for the updates to be manually updated. I have a 8yr old AMD 940 chip with 4GB ddr2 and it flies on win10. If my pc can do it so can urs. I even us this rig to create 3 models and run visual studio. It is waiting for the am4 to be upgraded this is one of many pcs in the home. All on win10. So I would say, backup and use the windows refresh option. Use xcopy to clone ur HDD for backup. Also if u don't have an ssd it could be your hdd. A simple ssd does wonders. I have a old intel that ran winxp, updated to win10 and few bucks for ssd and it now flies too.